This month's theme really invigorated me, in an unexpected way. Laura and I chose Reflections for September, and a lovely weekend trip to Madison, WI ended up being the perfect outlet to create the majority of my images. Of course, it's easier to feel inspired when you're on a vacation, freeing yourself from responsibilities and exploring an environment other than your usual. But for me, this theme really brought out one of the things I love most about photography: the importance of observation. Photography is all about observation, and reflections help me to see things differently. Or to notice things I might not at all. 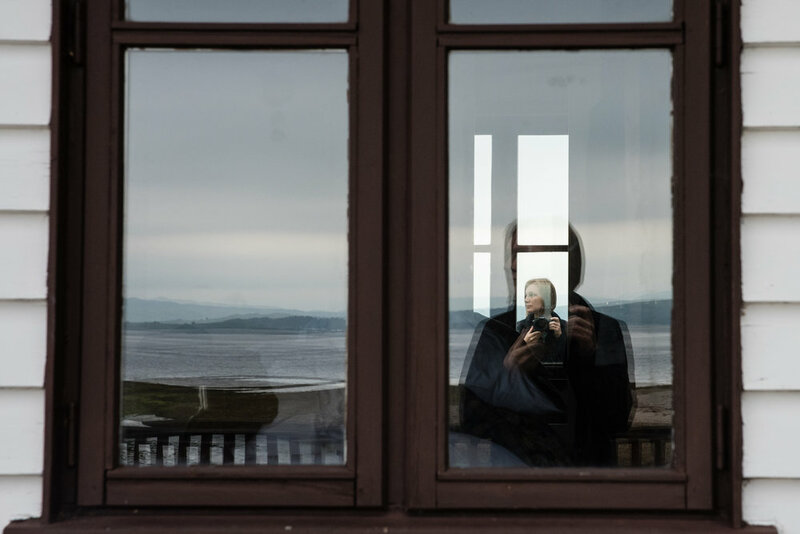 As I culled my images for this theme, I also noticed a strong self-portrait theme emerging, and it has me considering another self-portrait project, like the one I completed 2 years ago. As an artist, it's easy to see all the flaws in your work, or feel really down in periods of growth, so when you have a month where you look back through your images and you feel excitement? Yes, please. More of that. Head over to Laura's blog post next to see her month of Reflections!